BLT for LabVIEW can notify people when particular errors or logging information are reported by your LabVIEW products. This assumes that you are using the BLT Error Tracking feature with your products. 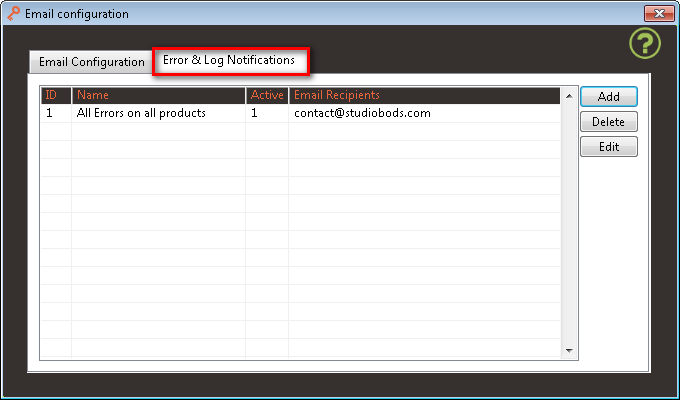 •Display the Error and Logging Notifications tab. oClick Add to create a new Notification rule. This brings you to the Notification settings page. oClick Edit or Double-click on an item to change the Notification rule settings. This brings you to the Notification settings page.